When Concept Red started “following” me on Twitter (by the way, click here to follow me on Twitter) they immediately caught my attention. Their focus on small businesses spoke to me, since this is one of my passions. I started a conversation with Caron Levy, who graciously answered my questions on their approach to bringing project management to small businesses. Caron has extensive experience in delivering ERP and IT related solutions throughout her career as a senior Finance Executive, Consultant and Project Manager. She has delivered many projects, including various large scale international ERP deployments in a diverse range of industries including Information Technology, Entertainment, Public Relations and Hospitality. She holds a degree in Accounting, is currently completing formal Project Management studies at University of California, Los Angeles and is a member of the Project Management Institute. 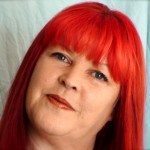 Caron is the co-founder and Project Manager for Concept Red, the developer of PM TemplatesPlus software which includes Project Documentation Management and Project Management Templates for all project types. 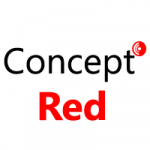 Concept Red was founded in 2010 by Project Managers with over 20 years of experience to provide project management consulting services for small business. Their goal is to provide comprehensive, professionally designed Project Management tools and Templates that comply with industry standards and offer real time saving benefits by streamlining the project documentation processes. Cesar: How did you get started in project management? Caron: My start in project management was accidental, in fact at the time I didn’t even know it WAS project management. I am also an accountant and early in my career was working for a business that needed new accounting software – I wound up managing the entire implementation. This experience lead to several other opportunities in managing finance software and systems implementations. I discovered that the project side of my career was what I enjoyed doing, and project management became my passion. Cesar: I’m also an accidental PM. Now, knowing what you know now, what advice would you give to people looking to get started in project management? Caron: My advice would be to talk to other project managers or project team members in your field of interest (IT, Healthcare, Construction, etc) to get an idea of what the job really is, and what skills would be required for that particular industry. Project management is non-industry specific in theory, but the reality is that expertise in your industry is a very valuable asset. Also, there are many blogs written by experienced PM’s, and the PMI offers fantastic resources and information for anyone interested in Project management. Cesar: I’m a project manager for a very small family business, and I know there are lots of benefits to bringing project management ideas, practices, and concepts to small businesses. I think a lot of the great knowledge on how to run projects successfully is trapped in large corporations behind companies firewalls. What are your thoughts on that?. Caron: Having worked with some extremely large, multi-national, corporations I do not believe that anyone has a guaranteed solution or process that ensures any project’s success. In my experience projects at larger corporations are more prone to “failure”, being shut down, or extensive scope changes because of the very nature of large corporations, in that responsibility is diluted across several people, many organizations have “top-down” management structure that neglect the needs of the users, and it is often difficult to get consensus on clear direction and authority for any number of political reasons. As a consultant to small business, I believe that the challenge for smaller organizations is in understanding the value of project management. It is essential for small business to maximize the impact of every dollar spent, and often project management is viewed as an unjustifiable overhead to the project – as project managers we understand that this is false economy, yet the challenge remains. The key to overcoming this and enabling small business to exploit the benefits of good process and great project management is in being flexible in our application of process and methodologies and scaling them to suit the project. By this I mean that a small project should be managed like a small project – streamlined and simplified without compromising essential areas like Risk management, etc. Cesar: How do you go about educating small businesses in the benefits of Project Management? Caron: In my experience a good starting point is to make project management relevant to their business and vision. Many small businesses feel that project management is only applicable to large, structured projects and organizations involving a lot of resources that they do not have access to. As project managers for small business we need to be able to do more with less, and to me the best way to do this is to modify our process down to the necessary components for the particular project – if it is a really straightforward project, say deploying 30 new laptops to the sales team, then our project management and planning is scaled to fit that. For example, the risk management process may not need to include detailed analysis and modeling, instead we identify the risks and produce perhaps a one-page report. Doing more with less means that we do not compromise our standards of project management and good practice, we just apply them in a way that fits. For project management to be accepted as valuable to small business we need to be able to demonstrate that we can deliver the benefits within costs and scale commensurate to the project. Opening a dialog on the benefits and being able to outline an approach that fits their business and moves toward realization of their vision is important. Cesar: I find that many small businesses don’t realize that project management as a tool exists and can be useful for them. Do you find that that’s the case? And if so, what is the first step in educating people in what project management is? Caron: I agree that many small businesses are unaware of project management. I think that small businesses view projects in terms of tasks to be performed, and not in terms of an overall “event” or project. So, the first step is connecting the dots for them and providing information on the benefits of project management to illustrate how their series of tasks combines to become their project. In this way, you can demonstrate the benefits of a project management process and a single, unified approach to ensure that the tasks are planned, executed, monitored and controlled to meet their goals.